Kalutara District is one of the 25 districts of Sri Lanka, the second level administrative division of the country. The district is administered by a District Secretariat headed by a District Secretary appointed by the central government of Sri Lanka. The capital of the district is the town of Kalutara. Yusuf bin Ahmad al-Kawneyn, popularly known as Aw Barkhadle, Yusuf Al Kownayn, Yusuf Al Bagdhadi, and Shaykh Abu Barakat al Barbari, was a Muslim scholar and traveler. Based on reference to Yusuf Al Kawneyn in the Harar manuscripts, Dr. Enrico Cerulli has suggested that Al-Kawneyn was the founder and ancestor of the Walashma dynasty that governed both Sultanate of Ifat and Adal Sultanate during the middle ages. Another genealogical tradition according to C.J Cruttenden is that Aw Barkhadle was a descendant of Ismail Sheikh Isaaq ibn Ahmed. However, many accounts indicate Shaykh Yusuf al Kownayn and Shaykh Isaaq were known to be contemporaries and in contact at the same time. Beruwala has the first recorded Muslim settlement in Sri Lanka, with records establishing the settlement by Arab traders around the 8th century AD. A large population of Sri Lankan Moors, many of them are gem merchants, still live in the town, particularly in the China Fort and Maradana areas. Beruwala has a large population of Sri Lankan Moors, many of them gem merchants, who still live in the town particularly in the China Fort and Maradana area. Kechchimalai Mosque (Masjid-ul-Abrar) situated in Maradana is a significant landmark of the town and one of Sri Lanka's oldest mosques. It was constructed by Arab traders on a rocky peninsula overlooking the town. Galapata Temple - a Buddhist temple built in the 12th Century. The Beruwala railway station, is located on the Coastal Line, connecting Colombo to Matara. Matara railway station is a station in Matara, Sri Lanka. It is owned and operated by Sri Lanka Railways. Matara railway station opened on 17 December 1895 as the terminus of the Coastal Line. Beruwala is served by the A2 highway, which runs past the town. The A 2 is an A-Grade road in Sri Lanka. It connects Colombo and Wellawaya via Kalutara, Galle, Matara and Hambantota. Beruwala is home to Al-Fasiyatul Nasriya Muslim Balika Navodaya School Maradana, which is the first and oldest Islamic girls school in Sri Lanka. 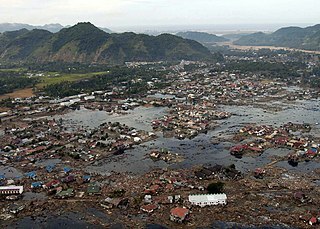 [ citation needed ] It was damaged by the tsunami on Boxing Day 2004. Zahira College is an Islamic school at Colombo in Maradana, Sri Lanka and was founded in 1892 as Al Madrasathul Zahira by notable Islamic lawyer and educationalist, Muhammad Cassim Siddi Lebbe, with the active patronage of Ahmed Orabi Pasha of Egypt. The college also has one of the oldest mosques in the country in its premises. Wattala is a large suburb of Colombo city, in Western Province, Sri Lanka, situated around 9km from Colombo city centre. This suburb is situated on A3 highway from Colombo to Negombo. Around Wattala, there are many villages and towns. Deshamanya Marhoom Al Haj Mohammed Abdul Bakeer Markar was a Sri Lankan politician. He was the Speaker of the Parliament of Sri Lanka and Governor of the Southern Province. Dematagoda is a suburb in Colombo, Sri Lanka represented by divisional code 9. It is surrounded by the Borella, the Maradana and the Kolonnawa. The Baseline Road passes through the Dematagoda. Kahatowita is one of a village in Attanagalla electorate, Gampaha District, Western Province, Sri Lanka. Hameed Al Husseinie College is a Islamic national school in Colombo, Sri Lanka, founded in 1884. Zahira College, Mawanella is a Muslim selective entry co - educational school in Mawanella, Sri Lanka. College started as a result of the educational reform that was brought along with the 1920 political reforms. The school was started as a religious school in a cadjan shed which belonged to the Hinguloya Masjidul Huda. It is currently the one of the largest Muslim educational institution in Sri Lanka with more than 4000 students studying there. The college is situated at the heart of Mawanella situated next to Masjidul Huda. Zahira means Excellence in Arabic. 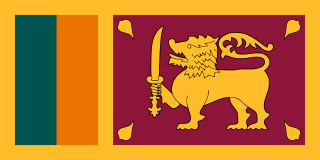 Bodu Bala Sena, is a Sinhalese Buddhist nationalist organisation based in Colombo, Sri Lanka. Key persons in the organisation are Venerable Galagoda Aththe Gnanasara and Dilanthe Withanage. The BBS is a break-away organisation from the right-wing nationalist Jathika Hela Urumaya organisation. Sheikh Mustafa, known as Sheikh Mustafa Waliullah was an Islamic scholar from Sri Lanka. He was also a poet and Sufi. Mustafa was a leader of the Qadiriyyathun Nabaviyyah Sufi order. Sheikh Abdullah Ibn Umar Badheeb Al Yamani was an eminent Islamic scholar and Sufi from Hadramout, Yemen. He arrived in Sri Lanka in 1858, and until his death he did many works for Sri Lankan Muslims. Sheikh Umar Badheeb was one of the significant figures among Sri Lankan Muslim leaders and reformers in the 19th century. He contributed significantly to Sri Lankan Muslim education along with M.C. Siddi Lebbe and Orabi Pasha. Sheikh Umar Badheeb also provided spiritual guidance, was the Sufi sheikh and founder of Qadiriyatul Badheebiyya Sufi Order. Dharga Town is a town located in Kalutara District, Western Province, Sri Lanka. Dharga Town is close to Aluthgama and the tourist town Bentota. The Grand Mosque of Colombo is a mosque located in Colombo, Sri Lanka. The 2014 anti-Muslim riots in Sri Lanka were religious and ethnic riots in June 2014 in south-western Sri Lanka. Muslims and their property were attacked by Sinhalese Buddhists in the towns of Aluthgama, Beruwala and Dharga Town in Kalutara District. At least four people were killed and 80 injured. Hundreds were made homeless following attacks on homes, shops, factories, mosques and a nursery. 10,000 people were displaced by the riots. The riots followed rallies by Bodu Bala Sena (BBS), a hard line Buddhist group. The BBS was widely blamed for inciting the riots but it has denied responsibility. The mainstream media in Sri Lanka censored news about the riots following orders from the Sri Lankan government. The Pathans of Sri Lanka were a Muslim community in Sri Lanka of Pashtun ancestry. ↑ Secretariat of the Convention on Biological Diversity (2007). Managing tourism & biodiversity: user's manual on the CBD guidelines on biodiversity and tourism development. Secretariat of the Convention on Biological Diversity. p. 63. ↑ Jaleel, Talib (8 July 2015). Notes On Entering Deen Completely: Islam as its followers know it. EDC Foundation. p. 1106. ↑ "Journal of the Sri Lanka Branch of the Royal Asiatic Society". 30-32. Sri Lanka Branch of the Royal Asiatic Society. 1985: 78. ↑ "Reading - Town Twinning". Reading Borough Council. Archived from the original on 2013-05-09. Retrieved 2013-07-14.